Are you tired of the same old bathroom motif? I love bathroom redesigns because they are usually the only space that can be completely transformed in a single day. Here are some interior design ideas to take your outdated bathroom design and give it an overhaul in less than a weekend. Choose a new color accent. 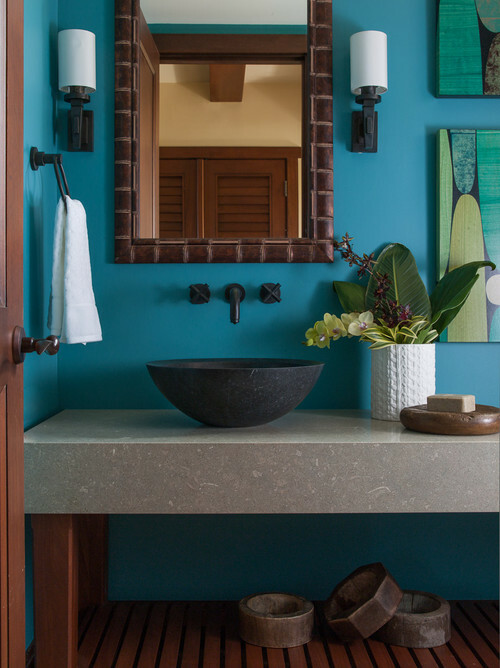 Your bathroom will enjoy a whole new facelift with just a simple color change. 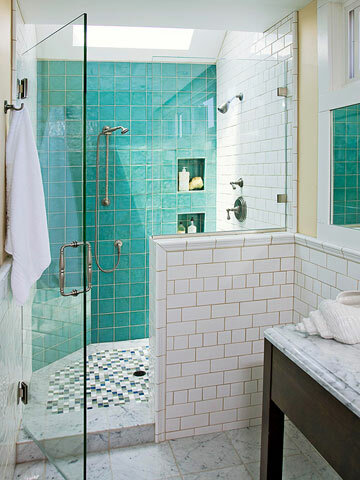 Once you’ve chosen a new color scheme, change out your towels, the shower curtain and the rug. Add a few accents and, voila! It’s all brand new. 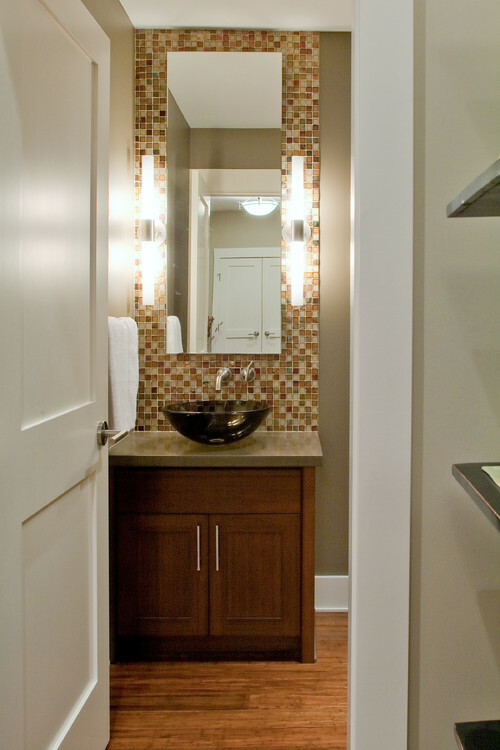 Contemporary Powder Room by North Vancouver Architects & Designers Synthesis Design Inc.
Re-do your tile. You don’t have to be a master tile layer to replace some of the tile in your bathroom, especially if its a smaller space. You can purchase pre-fabricated tile sheets with attractive colors, designs, and patterns, to update your countertop or shower area. Even complex mosaics are at your disposal. Embrace patterns. 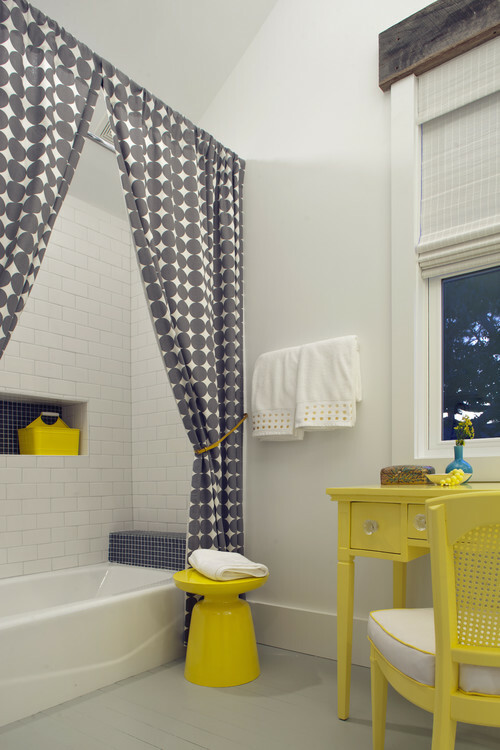 If you tend to go for solid colors, replace your shower curtain or rugs with patterned versions. Colorful or interesting patterns can breathe new life and energy into the room. Need a little help executing your interior design ideas? Give me a call. I would love to chat with you.